You still have no car, and all you want to do is take a nap? Exactly the same thing may happen when you decide you want to buy a best massage chair. There are a lot of brands, models and manufacturers. My friend invested into this expensive model HERE (DO NOT BUY) but later wish he never buy one. Add to this various massage types such as shiatsu, kneading, tapping, rolling, vibrating and it's become exhausting. And at the end of it, you feel like taking a nap! Well, here's one fewer thing you should stress about in your journey to relieve stress: Cozzia's are cozy (just kidding 🙂 ). Chair manufactured in China, buy they claimed use high-quality components. 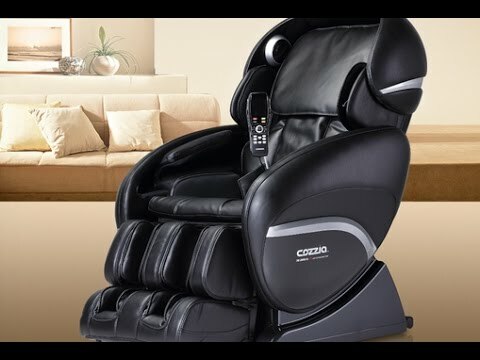 I we've done all the research and summarized a few important points about each chair down below So, sit back, read onand see if Cozzia massage chair worth it. There's a lot more to that car analogy than the pile of research associated with a purchase. These chairs look like sports cars. This version comes in what they call triple black: an "automotive black" exterior, black interior, and black trim. Like some of the other high-end chairs out there today, the Qi Se Massage Chair comes with chromotherapy LED lighting, but there's a pattern to these lights, and you can change the color output. The foot massager section of this chair spares no extravagance. The rollers are triple action, and you get two levels of shiatsu massage reflexology. This is serious foot massaging. Most chair offer some sort of heat, usually in the lumbar or full back, and this chair is no exception there, but you also heat in the legs via compression sleeves. The sleeves move as they compress, so you get full massage on your legs and calves. The L-track design delivers a full body massage from gluts to neck, there's a large-format touch screen control panel, and 13 programs to choose from. It seems like you'd need a lot of space with a chair of this feature set, but it's a space-saver. You only need five inches from the wall. The remote control for this chair is wireless and touch-enabled. It provides zero gravity positioning, which mimics the angle and position astronauts are in at take-off. This isn't for aerodynamics--it's to take all the weight off your body, maximize blood flow, and reduce spine compression. When it uses this technology, you get added benefit, as your body is not working in any way to support itself and your muscles and joints can be fully relieved from tension and stress. 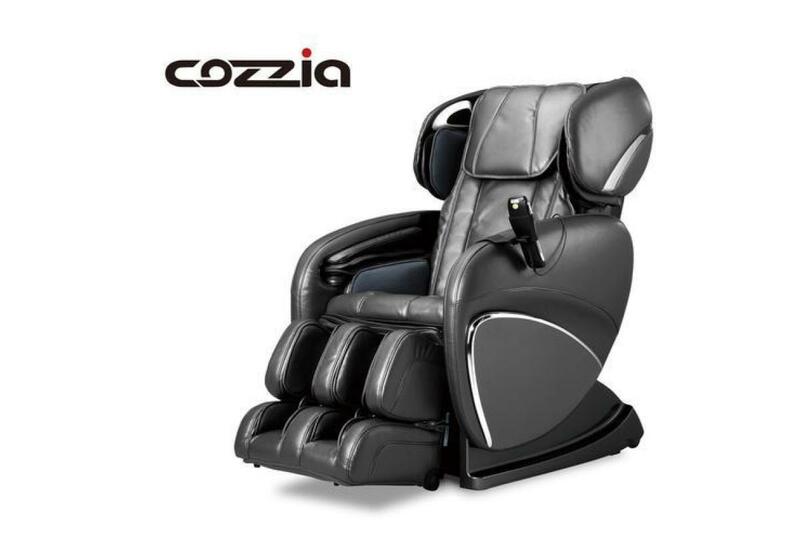 This Cozzia 618 chair utilizes the latest in Cozzia 3D massage chair delivery and provides maximum foot relief with under-foot rollers. Bluetooth speakers are built right into the chair, and you control which massage programs you want from the remote control. This chair has 64 airbags that deliver five levels of intensity to your entire body--legs and calves, thighs, seat, shoulders and arms, and neck. There are six different and massage techniques; eight auto programs; stretching, air, and spot massage; and massage nodes that penetrate to three inches. You can adjust the backrest and footrest to any position you like, and of course this chair is equipped with zero gravity positioning. They label this chair the doctor because it figures out the exact level of tension your body is under and then tailors the massage to directly target the problem areas. This is a very smart chair. Not only does the sensor record and go after the tension in your back, it keeps a running log in calendar format, so you can track your progress. It utilizes 4D technology (called Vario), so it can move vertically, horizontally, and back and forth, varying the rhythm of the massage at the same time. This mimics the closest to a human massage available. 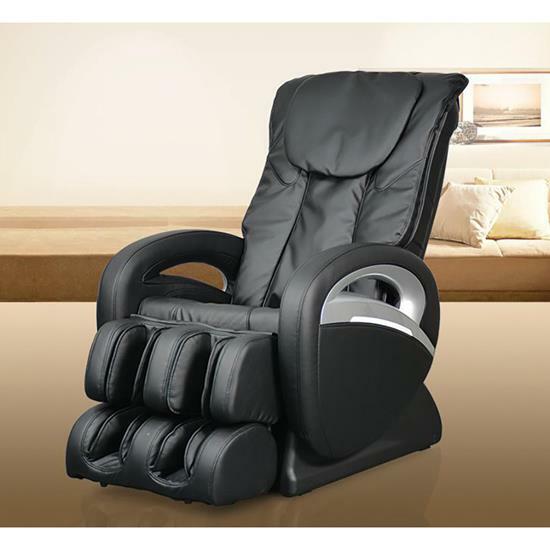 The rollers are heated, and this chair offers the highly advanced air technology combined with compression and rollers for maximum benefit shiatsu foot massage. If you like design and space technology, you'll like this chair. It offers zero gravity positioning, taking all stress off your joints, and rendering your spine fully neutral for maximum relaxation and stress relief. It's beautifully designed, and delivers a 3D massage that travels the length, width, and depth of your back. The large format touch screen control panel puts you at the helm, and the footrest contains rollers that massage the soles of your feet. You get a massage tailored just for you with this chair, as it makes use of precise scanning to auto-determine your tension and stress areas most at risk. The massage nodes extend three inches into your back and deliver stretching as well as spot massage. There are six massage techniques and eight auto programs. The airbags deliver five levels of intensity to your entire body--foot to neck. You can plug your MP3 player right into the chair, and fully relax your mind and senses via LED chromotherapy lighting. 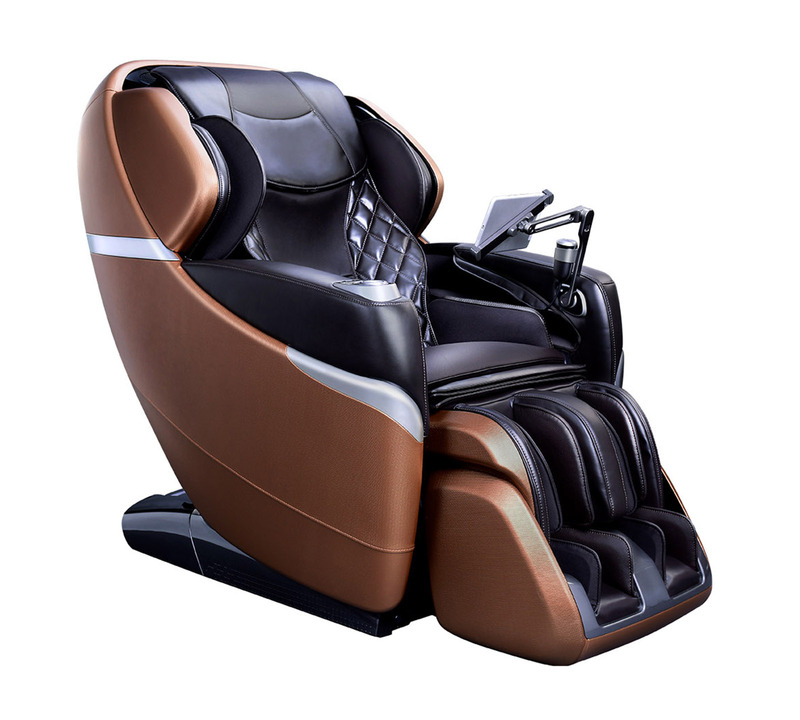 The CZ-628 provides 3D technology massage, which exhibits the latest advances in robotics chair massage. The rollers massage your body in all directions, up and down, back and forth, and into your back, so that it feels as if you're being massaged by a professional. It has a remote control you use to choose your preferences. The footrest rollers massage the soles of your feet, the chair provides zero gravity positioning to put your spine in a neutral position and increase circulation, and it comes with chromotherapy LED lighting for sensory healing. There are Bluetooth speakers built right in so you can choose whatever you like to listen to to maximize your comfort and relaxation. Like others in the line, this chair has what is called the ultra s-track, which enables the delivery of an advanced, full body massage. Combined with the ability you get with the CZ-328 to recline into a fully flat position, you receive an s-track massage from neck to glutes. If it's just the neck and back you want massaged, you can sit upright for a two-dimensional massage, with rollers working back and forth across your back and neck as well as up and down. The remote puts you in command, to choose from four auto programs and six different types of massage. You can also adjust the strengths and speed of the massage, heat your lower back via the lumbar heater, and utilize the chromotherapy LED lighting for maximum relaxation and rejuvenation. You can opt for spot massage, and the air massage is delivered to your arms, feet, and calves via 26 airbags. Another option for those seeking a sleeker chair that takes up less space, this chair doesn't disappoint on features and options. You get spot massage six different ways and five programs. It has twenty-two airbags for soothing and massaging your calves, feet, neck, thighs, and seat. The zero-gravity positioning--in a single touch--will transport you to total body weightlessness and completely relieve your spine from pressure and weight, thereby increasing blood flow and maximizing the functioning of your circulation and immune system. The lumbar area heats your lower back, and the chromotherapy lighting soothes your senses and increases optimal relaxation. Previous models is 16027. SuperTrac technology enables a medical massage chair to deliver a full body massage from your glutes to your neck, and this chair has w-shape s-track, which is what's known as ultra S. It's the most advanced s-track system there is. You can utilize the zero-gravity positioning to take all the weight off your entire body and fully support your spine. 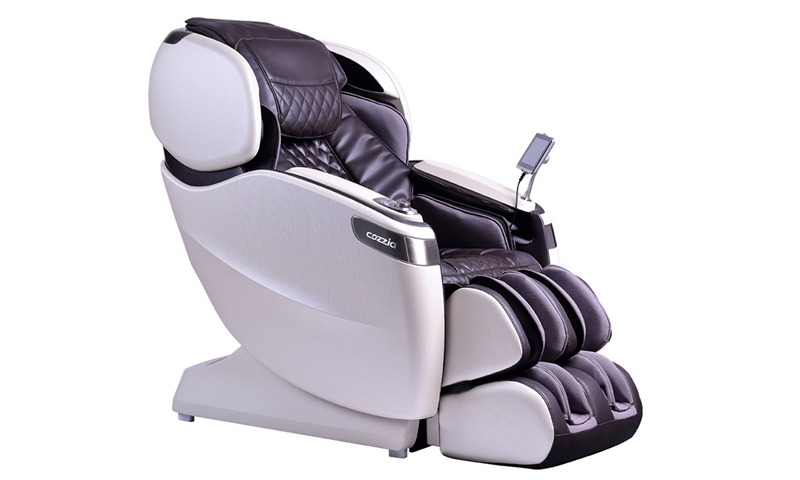 There are eight programs to choose from and an adjustable footrest. The air massage features massage your arms, shoulders, neck, feet, calves, thighs, and seat. You can choose custom massage programs, as well as the width, intensity, and strength you prefer. The seat vibrates and the lumbar area is heated. There are two rollers in the foot rest for added foot stress relief. You control your massage preferences via a hand-held remote and choose from six techniques, and three auto programs. 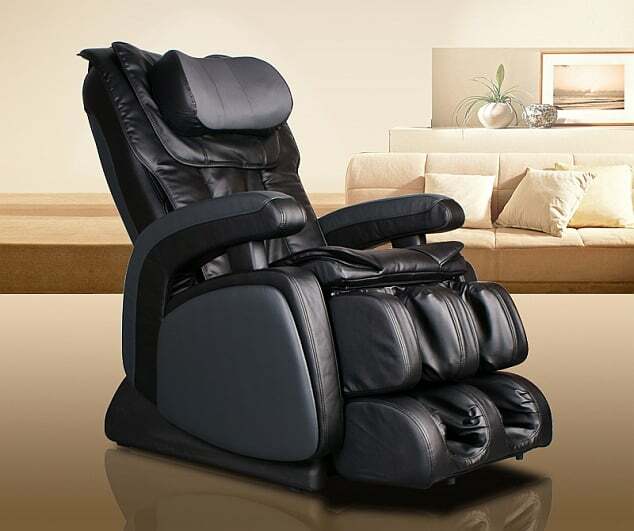 This chair is equipped with 12 airbags and delivers soothing relief from stress and tension to your feet and calves with five levels of intensity. The back and neck massage are delivered by two-D spot massage technology, utilizing six different techniques and three auto programs. During the manual massage, you adjust both the width and height. The EC-360D uses technology to scan your back and target the specific areas that need it and includes seat vibration. For the price point and features of this chair, it is a solid choice and addition to your home and health. 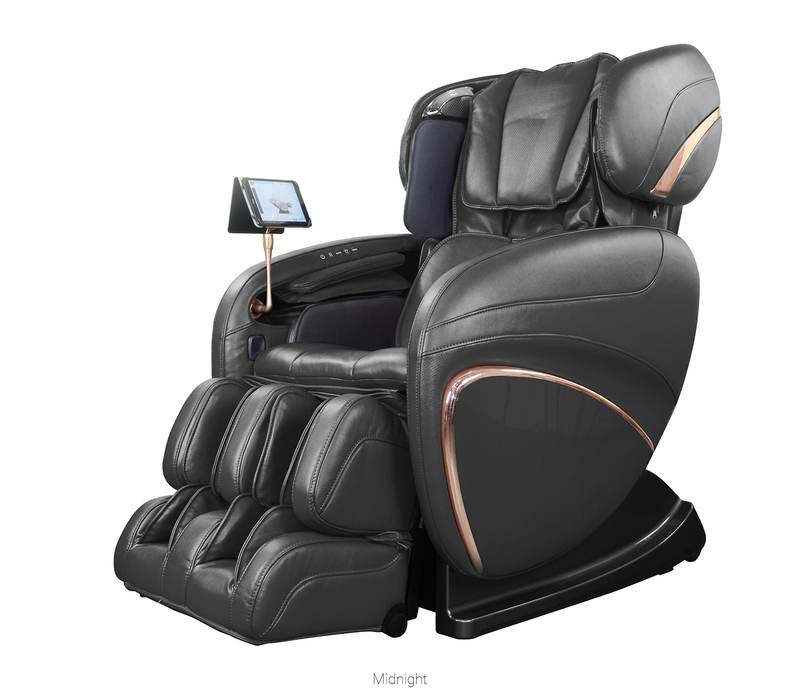 This chair offers 2D massage technology, zero gravity body positioning, and eight different programs to suit whatever your specific stress-relief needs should be. It has 50 airbags top to toe, with five varying intensity levels for your thighs, arms, seat, feet, and calves. There's a vibration mechanism in the seat of the chair, a heated lumbar area, and you adjust the speed and strength of the massage. If you're looking for a smaller chair that takes up a bit less space, is easier on your wallet, but still packs all the features you need to get the job done, it's worth your time to consider the CZ-322. It offers two-dimensional massage (back and forth and up and down), utilizing six types of massage. There are three auto programs, and spot massaging. You still get the body scanning, targeting the specific areas you need addressed, as well as a vibrating seat and the ability to adjust the strength and speed the way you like. This chair also includes chromotherapy lighting for maximum relaxation, and a nice safety feature: a surge protector that guards against overheating. Cozzia chairs are designed and manufactured with the latest technology to deliver top-of-the line and industry-leading massage to you right in your home. It's a wise investment and one that will benefit your body and all-around wellness for years to come. 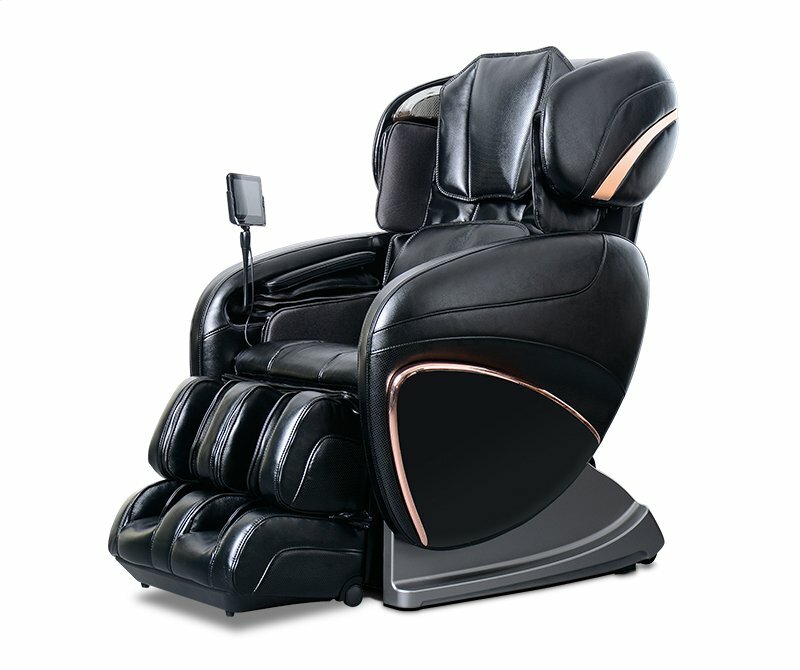 Hope you enjoyed our cozzia massage chair review article.